Mike Wiley, a 2018 James Beard Award winner, studied literature and creative writing at Colby College and rhetoric at the University of Colorado at Boulder. He worked at various kitchens in Colorado, including the Black Cat in Boulder, before returning to Maine. Hugo’s proved a perfect fit: a kitchen that fosters creativity and enjoys access to the finest ingredients. Mike is tickled to be cooking right here in the thick of it. Matt has been interested in food since his first job picking strawberries at Maxwell’s Farm in Cape Elizabeth at the age of 14. For over 10 years he has been cooking professionally in Portland and Boston. In Boston he honed his skills at several award winning restaurants, including Harvest and L'Espalier. He returned to Maine in 2012 as Chef de Cuisine at Five Fifty-Five where he continued his pursuit of excellence while cultivating and maintaining close relationships with local farmers. Most recently, Matt took home the top prize at his 2018 appearance on the Food Network’s “Chopped,” and has since returned to film a “Chopped Champions Throwdown” episode. Chef Justin Walker discovered his love for cooking at an early age while preparing holiday meals with his grandfather, foraging for herbs like lamb's quarters and reindeer moss, and making cheese on his family farm. After spending 15 years in the kitchen at Arrows, James Beard Award-winning chefs Mark and Clark Gaier's Ogunquit, ME restaurant, and then as executive chef of Kennebunkport's Earth at Hidden Pond, Justin is widely known for his approachable and refined cooking style, inspired by his love of Old World practices and techniques. A StarChefs "Rising Star" chef of Coastal New England, Justin creates soulful dishes using a simple presentation style, celebrating the ingredients of his home in Maine and 17-acre family farm in Cape Neddick where he and wife Danielle Walker raise goats and chickens, forage the land and harvest their own crops, yielding everything from reindeer moss to green strawberries and blueberries and hibiscus flowers. In early spring 2018, Justin and Danielle Walker will open Walkers Maine in Cape Neddick. The Walkers menu will revive classic New England dishes with chef Justin’s seasonal, modern perspective, bringing an element of comfort and nostalgia that mixes the old with the new and celebrates a region rich in history and proud of its native ingredients. As longstanding members of the Maine culinary community, Justin and Danielle will foster a local and sustainable mentality through their familial ties with regional farmers and fishermen, and a thoughtful utilization of their own 17-acre farm. A native New Yorker, Ali fell in love with Maine on her first visit, and since moving to here in 2014, after 15 years in Philadelphia, where she was a fixture in the restaurant business, she has immersed herself in the local Maine food scene, reveling in its quality and abundance. At the Brunswick Inn Ali creates and executes menus for a multitude of special events from weddings to graduation dinners, baby showers to celebrations of life. In 2016 she spearheaded the popular Tuesday Nights Plat Du Jour Dinners, a 3 course fixed price weekly food event, at The Brunswick Inn, which is open to the public and features an ever changing menu of local, seasonal foods. She is the Producer and Chef/Partner of Butter+Salt Pop Up along with food writer/chef Christine Burns Rudalevige. She can also be found behind the stove at The Robinhood Free Meetinghouse, creating collaborative music dinners with The Arbitare Project, a classical music duo, Maine seafood dinners with The Maine Fisherman’s Association, as well as a few select events, such as their upcoming BIG NIGHT dinner, recreating the dinner from the beloved movie. Ali has appeared on The 207 Show, WMPG Radio Food Stories, and Good Day Philadelphia. Her recipes have been featured in Food52, The Jewish Exponent, The Forward, self.com, The Portland Press Herald, The Bangor Daily News, The Philadelphia Inquirer, and she’s been featured in The Portland Phoenix, The Times Record, Meal Ticket, Cooking Channel TV.com, Philadelphia Magazine, Maine Women Magazine, and AAA New England Magazine. She lives in Brunswick with her husband, 2 cats and 2 birds and has recently become a member of the New England Chapter of Les Dames D’Escoffier. A native of Maine, Jess English developed his passion for cuisine at an early age, growing up in his family’s corner store and deli, where he quickly learned that great food brings good company to the table. He attended Antioch College in Yellow Springs, Ohio, where he received his Bachelor of Science in Environmental Science. During his studies, he also lived abroad in Brazil and England, where he broadened his cultural palate and incorporated these cuisines into his own cooking. Jess began his restaurant career in 1995 at Federal Jack’s Restaurant & Brew Pub in Kennebunk, and has been the Food Director of Sea Dog Brewing Company Topsham location since 2014. He enjoys working closely with local farmers and purveyors to combine innovation and comfort into his dishes. Like a true Mainer, Jess loves hunting, fishing and exploring the great outdoors with his wife and two young sons, and cheering on his beloved Red Sox. Paul Landry is Chef and Co-Owner with his wife Kate Landry of Fish Bones Grill in Lewiston, Maine. Born in Lewiston and raised in Jay, Maine, Paul attended Johnson and Wales College in Providence RI and graduated in 1984 with a B.S. in Hospitality Management. While in college, Paul worked in several facilities owned by the college that served as educational training grounds for JW’s culinary program. Paul also worked as chef and manager at several Providence and Newport restaurants before being recruited after graduation to work in Bar Harbor, Maine as sous chef at a small inn and restaurant for the season. After a short stint in Palm Springs, CA, Paul returned to the East coast and continued as a journeyman in restaurants and hotels in Vermont, Rhode Island and Washington, DC always returning to Bar Harbor, Maine for the season. In 1990, Paul met his wife Kate in Bar Harbor and shortly after returned to the Lewiston area to raise their family. In 1994, Paul and Kate opened Mac’s Grill in Auburn, Maine with Kate’s sister and husband offering a blue collar dining experience to the greater L/A metropolitan area. In 2005, Paul and Kate opened Fish Bones Grill in Lewiston as an anchor tenant in the newly renovated Bates Mill No. 6 offering a casual upscale dining experience. In 2012, Mac’s Grill was sold to 3 local businessmen where they have continued the Mac’s tradition as a neighborhood bar and grill with many of the same recipes and menu favorites established by Paul in the mid-nineties. As willing participants of Lewiston’s renaissance, Paul and Kate have become active members of the downtown serving on various boards and committees. Paul is active as a Central Maine Community College Culinary Advisor as well as an advisor for the Lewiston Regional Technical Centers’ “Green Ladle Culinary School” providing guidance and employment opportunities for the programs’ young chefs. In 2011, Paul started the Fish Bones Hospitality Scholarship as a means of assisting the next generation of hospitality professionals. To date, the scholarship fund has awarded over $60,000 to area students pursuing their dream in the hospitality field. Vincent Maniaci and Jill Dutton opened The Cheese Iron in 2006. The Cheese Iron is a full service, cut to order, cheese and charcuterie store with over 200 artisan cheeses and meats. There is a pantry with interesting selections of pastas, olive oils, sauces, chocolates and confections, jams and crackers, as well as a small baked goods section and a lovely wine department. While visiting, check out the cheese cave that houses cheeses at different stages of maturation. Or watch as one of our cheesemongers irons a cheese from the cave. Located just 5 minutes from downtown Portland, The Cheese Iron does an amazing lunch - creating small batch sandwiches, soups, pastas, salads and other prepared food dishes. Check out their freezer for dinner options like Coq au vin, mac and cheese, baked ziti, meatloaf or cassoulet. Having a party check out their catering menu online at www.thecheeseiron.com. Luke Holden grew up in Cape Elizabeth, Maine – a third-generation lobsterman who started learning the trade at age 13. After attending Georgetown University and beginning an investment banking career on Wall Street, Luke was remiss to find that every lobster roll available in New York was overpriced, drowning in mayo, and diluted with celery. He craved a real Maine-style roll and simply couldn’t find one. Luke saw an opportunity to bring a casual seafood spot, like the homegrown lobster shacks of his childhood, to New York’s culinary landscape. In 2009, Luke decided to harness his passion for excellent seafood and his family’s 40-plus years in the Maine lobster industry to open the first Luke’s Lobster in the East Village with his dad Jeff, a lobster processor, and Ben Conniff. To keep up with demand, Luke and partners opened Luke’s Lobster’s own seafood processing facility in 2012. The complete vertical integration ensures every lobster served at Luke’s is handled with care and kept pristine. Today, Luke spends the majority of the year in Maine, where he maintains relationships with lobstermen and oversees production at Luke’s Lobster’s processing facility. He also sits on the board of the Maine Lobster Marketing Collaborative, the Island Institute, and the Tenants Harbor Fisherman’s Co-op, which he helped found. Luke’s donates a portion of its proceeds to The Ocean Foundation and the Island Institute, helping preserve Maine’s fishing communities and the sustainability of our oceans. In 2018, Luke’s Lobster furthered its commitment to sustainability and socially conscious business practices by becoming a certified B Corporation®. Luke’s Lobster is also part of the 2018 INC 5000 and Luke Holden has been named one of Real Leaders 2018 Top 100. Over the years, Luke has also been included on the Forbes’ 30 under 30, Inc 30 under 30, Zagat’s 30 under 30, and Crain’s 40 under 40. Originally from Newton, MA, Jared worked on commercial vessels in Alaska and Cape Cod during the early 2000s after he finished college. Working alongside hardworking fishermen, Jared witnessed a significant misalignment of supply and demand where fresh fish landed by American fishermen was processed for export while inferior quality seafood was imported into the US marketplace. He observed how the advent of industrial technology and strict governmental regulation of open oceans impacted traditional fishing communities and family fishing businesses. Jared also saw the quality, abundance and vast variety of species available in New England’s pristine cold waters. In 2008, Jared founded Red’s Best, envisioning a brand that would represent each and every fisherman and the pride of the profession. He set out to create efficiency in government reporting and to make it easier for consumers to have direct access to the freshest seafood while helping to sustain the livelihoods of American fishermen. Jared lives with his wife and 3 children in Natick, Massachusetts. VALERIE- Chef Valerie is a second year culinary arts student originally from O.O.B and now resides in Biddeford with her husband and three adorable animals. Valerie is aspiring to become a Pastry Chef in her future and own a bakery/food truck. KALISTA-Chef Kalista, a second year culinary arts student at SMCC. She’s from Hardwick, VT but resides in Gorham, ME. She is an amazing line cook. This is her second Chef’s Summit. SARAH-Chef Sarah is a second year culinary arts student, she lives on campus but is originally from New Hampshire, Sarah is very excited to start her culinary career in Portland. She currently is working at a local Country Club and loves to cook chicken parmesan. WILL-Chef Will is a second year culinary arts student at SMCC. 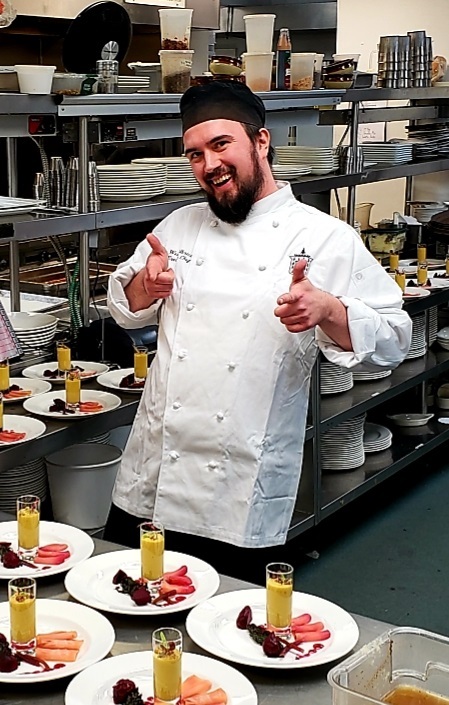 This is his first Chef’s Summit and he’s looking forward to showing everyone what he can do and what the students of the program are capable of. My name is Jonathan Romano, I am 43 years old, and am married to my Norwegian wife Anne Lene Romano. I have 3 adult children Celina, Julie and Sarah Romano. I was born in Manila but my family is originally from Samar in the Philippines. I came to Norway when I was 2 years old and have lived here since. I have adopted Norway as my home country, having lived in Oslo for over 40 years. With my interest in food I stopped my marketing studies to learn more about cooking in a professional manner. I attended and took my degree at the biggest culinary college in Oslo. In fact I was the best student in my school’s history with A as my average score. I started my apprenticeship in one of the most iconic restaurants in the hills of Oslo called Holmenkollen Restaurant. My abilities let me fast-track my apprenticeship (one year) and lead to me passing my exams with distinction. I then worked freelance for about 1 year in a number of Michelin starred restaurants such as; Bagatelle (2 stars), Statholdergaarden (1 star). I also worked in the best hotels in Oslo such as; The Grand Hotel and Hotel Continental. My area of expertise has always been seafood. This naturally led me to work with sushi, which was confined to only three restaurants in Oslo at the time that I started. I learned the intricate techniques quickly and felt that it was something I could excel in. After a year I got an offer to open a brand-new sushi restaurant that called Alex Sushi. This was the beginning of a historic period in the Norwegian sushi scene. Alex Sushi became the best restaurant in Norway and I am very proud to announce that I am one of the biggest sushi pioneers in Norway. I began to change the landscape of the cuisine by creating fusions between French and Japanese cuisine. I also began experimenting with a wider range of techniques and made my own twist; with a focus on Asian/Norwegian flair in the taste profile. I invented a lot of dishes that are used throughout the whole of Norway and in Scandinavia. I am so grateful that many restaurants are «copy» using my dishes that I have invented. It is so overwhelming, and I am humble over the fact that my food is adopted off so many Chefs. Following my early successes, I was headhunted to open new sushi venues for several investors. These ventures were a huge success. After so many years of hard work I began to feel the need to establish myself independently and so I started my own sushi chain in Oslo called Jonoe. We were the most innovative company in the city and everybody had their eyes on us. Eventually, I moved away from the Jonoe concept and made my own personal brand Jonathan Sushi & Asian Dining. Under that name, I managed to open 4 franchises in Oslo and made some appearances in national television. In 2015 I made a partnership (merger) with an another sushi group in Norway and which became the countries largest sushi group. I was a co-owner of 16 restaurants throughout Norway. One of the highlights of that venture was my involvement in co-making Norways first sushi Michelin Stared Sushi Restaurant, which is named Sabi Omakase. I am so proud of this accomplishment specially when the head-chef was my apprentice in the earlier days. Another major accomplishment was when I head coached the world champion (Vladimir Pak) in the sushi World Cup 2017 in Japan. To win this title was a dream come true even if it was not me holding the Gold medal, I know I was a part of something amazing. In the end of 2018 I decided to sell my shares in the sushi group and to focus more on working with production of the Norwegian Salmon. I am still opening restaurants but more as an investor. I have recently opened a restaurant in Kirkenes which is on the top of the Norwegian map. This year I am planning to open in Tromsø with a major focus to use local-, sustainable ingredients. I also dream about to contribute in the restaurant business in USA to connect the Norwegian food, culture and products to strengthen sustainable production of food in the future. Also to be a pioneer to influence the Americans to eat more fish and shellfish. Make it more available and learning about the great opportunities for preparing fish dishes, and how easy it actually is. To be a front person to give the visions and the importance of land-farming and the benefits that this gives us. Educate the American people why fish is so important for us humans and for the environment. I want to show the diversity of eating fish raw, fried, grilled, baked etc. My visit to Portland is a fantastic starting point since this place is similar to Norway in many aspects. I am looking forward to be a part of SashiME and my attendant to the event. Hopefully to establish some contacts with influencers that completes my vision together with Nordic Aquafarms. My plan is also to invest in the Philippines and by taking a piece of Norway back to my roots. I find myself in the perfect moment to do so as a Filipino/Norwegian, and with the tremendous potential of the Filipino market. My children are adults now and my wife is willing to move, which makes this vision of mine possible. My dream is to develop a concept that defines my love for cooking and my love for fish. My plan is to combine nutritious produce of the highest level, which will be transformed into a delicate blend of perfectly executed dishes. I want these dishes to create the sense of Norway meeting Asia, to express the best of both worlds. I want to show the greatness of food making from different culture form the best produce from Norway. Romann worked his way up the ranks of the kitchen in a small restaurant in upstate New York before landing an opportunity in 2006 to work under Jonathan Cartwright, then Executive Chef of The White Barn Inn. When he arrived at The White Barn Inn, Romann was told that he had “the makings of someone who could be a chef.” The Brooklyn-born native with Haitian roots was given a two week trial. Six months later he was promoted to Junior Sous Chef, and by the time he left the White Barn Inn, it was as Executive Sous Chef. Roman moved on to other notable Kennebunkport area restaurants, Grissini (Abbondante) and 50 Local. In 2015, he met Matt & Lauren Wickert, who were working to assemble a team to open their first restaurant, Northern Union, in Ogunquit. Romann hit it off with Matt & Lauren and has been the Executive Chef since day one. Now in their fourth year, Romann leads a culinary team that has a passion for flavor, quality, and simplicity of ingredients. Romann has been featured in various publications, including Zest Magazine, Maine Magazine, The Portland Press Herald, and Air Canada Enroute Magazine. Maine native Josh Berry, a seasoned chef specializing in enhanced local cuisine, is at the helm of one of Portland, Maine’s hottest restaurants: UNION. Located on 390 Congress Street and opened in May 2015, the restaurant has been one of Portland’s most buzzed-about in the Old Port with rave reviews from Condé Nast Traveler, Travel + Leisure, Maine Magazine, DownEast, Food & Wine, Food Republic and more. In March 2017, UNION was invited to host a dinner at the James Beard House in NYC. Shortly after, Berry was named “2017 Chef of the Year” by Maine Restaurant Association. Chef Berry has extensive experience in several acclaimed restaurants across the country, most recently as Executive Chef at Forbes 4-star, Stowe Mountain Lodge in Stowe, VT. Prior to that, he led the culinary operations at The BALSAMS Grand Resort in NH, the same establishment in which he had first apprenticed and began his training. Chef Berry also spent more than three years leading the kitchen as Executive Chef of the historic Griswold Inn in Essex, CT. Internationally, Josh spent a year working at Hotel Austoria in Luzern, Switzerland, and further honed his culinary talents in Italy, before returning to the U.S.
Berry’s culinary talent, creativity and background are the driving force behind UNION’s locally-driven philosophy. His Maine roots and passion for the culinary community here in Portland are palpable. He brings a great energy to the kitchen and it translates directly to the plate, delighting diners both locally and “from away.” Aptly named UNION, the name represents the restaurant’s altogether local relationship with the community – the farmers, fishermen, brewers and craftsmen that create the uniquely Portland experience. A celebration of the region, Chef Berry creates a rotating seasonal menu that takes a fresh look at classic dishes using contemporary preparations and regional ingredients. Diners will find the diverse dishes approachable, sophisticated and most importantly --- relevant to the vibrant Portland food scene. For as long as I can remember, I spent countless days in the kitchen with my Grandmother. She taught me how to cook food from her French Canadian heritage. Simple items that we made were tomato soup, turkey dinners and to my favorite, No Bake Southern cookies. I used to help prep by stirring and mixing while she looked over and helped with my technique. As a young man in high school, I wanted to become more educated in the field, thus taking four Culinary Arts classes and two Baking and Pastry Arts classes at Biddeford High School. With the help of my Grandmother’s lessons and the basic knowledge that I learned from the classes, I was able to achieve high marks throughout the courses. After high school, I enrolled at Southern Maine Community College for their two year Associates degree program. I furthered my education and passion for cooking during this time, refining my skills needed to work and be successful in this career. In June of 1998, a month after graduating, I accepted a position at Federal Jack’s Restaurant and Brew Pub, in Kennebunk. I started out a prep cook and soon found my way, working the line at and up and coming, fast paced restaurant. I was trained by Chef Christian Gordon, who taught me the ins and outs of restaurant life. In 2001, I was promoted to Sous Chef working side by side with my mentor. We quickly grew as a company and expanded in 2005, with our sister companies, Seadog Brewing Company. Chef Gordon took part in helping open up the new restaurants, and I was promoted to Chef position of Federal Jacks, which remains as my current status. It is my focus to work closely with local purveyors and farmers to give our customers the freshest and best quality of ingredients from seafood, to meats and produce. I also work closely with our Head Brewer, Mike Haley, as our brewery is right under the restaurant. I try to create new ways to incorporate the freshest of ales into our food, be it the beer itself or a surprising twist of using grain, malt or hops, used to make the ales, in our menu or special items. This provides our customers with something they may not have expected or seen before, creating a unique dining experience. My goal is to match our food, drink and atmosphere with the incredible views overlooking the Kennebunk River. Wes Philbrick moved to Maine when he was just 8 years old. He held his first restaurant job at the age of 15 at a steakhouse in Livermore Falls. Chef Philbrick went on to graduate from the Connecticut Culinary Institute in Enfield. He worked the next four years seasonally between Boothbay Harbor and Palm Beach, Florida. After a few years he decided that Maine was home and began working locally in Portland for well-established hotels in the area, such as Portland Harbor and the Harraseeket Inn. In 2011, Chef Wes was recruited by the former Executive Chef of Black Point Inn. He moved through the ranks and was awarded Sous Chef in 2015. In 2018 Wes Philbrick joined us for his eighth season and his first season as the Executive Chef. Chef Philbrick has a lot of respect for the path that has been laid before him, honoring that path with a menu rooted with New England classics. Chef Philbrick has a creative spirit and has found many spaces within his menus to express himself and have fun. He will continue to foster our commitment with the Gulf of Maine Research Institute and looks forward to building deeper relationships within our community. Mateo Kehler is the head cheesemaker at Jasper Hill Farm and is the founder with his brother Andy of the Cellars at Jasper Hill. Founded in 2003, Jasper Hill is a Social Enterprise focused on economic and agricultural development and the conservation of agricultural soils and the Working Landscape in Vermont through the production of high-value artisan cheese. The Cellars at Jasper Hill is a centralized facility that was created to lower the barriers to entry for artisan cheese producers by providing ripening, marketing and sales and distribution and administrative services with the intent of allowing farmstead and artisan cheesemakers to scale. Jasper Hill produces 7 varieties of both raw-milk and pasteurized cheeses and matures and markets an additional 7 varieties for other local cheesemakers. Mateo lives on the Farm with his wife Angie and children Reed and Zola. PEGGY GRODINSKY is the editor of the Portland Press Herald’s Food & Dining section and, until recently, the paper’s Source section, which covered the environment and sustainability. She spent five years as executive editor of Cook’s Country, an America’s Test Kitchen magazine, and about four years in Texas writing about food at the Houston Chronicle. Grodinsky has taught food writing to graduate students at New York University and Harvard Extension. She worked for seven years as editor at the James Beard Foundation in New York, and spent a year as a journalism fellow at the University of Hawaii (lucky her!). Her stories have appeared in Yankee magazine, Best of Food Writing (2017), and The Best of Southern Food Writing (2008). She is highly skilled at procrastibaking. PAOLO LABOA – Cheesedom Fondue Party & Our International Kitchen Executive Chef / Solo Italiano - Portland, ME Chef Paolo Laboa comes to us from Genoa, Italy and offers food that is simple with ingredients that sing. All components are prepared by hand and are fresh from the farm and sea. This includes all pastas, which are made in house daily, and certainly features his world award-winning pesto. In 2003, Laboa won Best Young Chef in Italy while working at I Cuxin. His now 40+ years in the kitchen took a significant turn when he decided to move to America and bring the real, Italian cucina to the American palate in a manner unedited for necessarily appeasing it. In 2008, Laboa and his then understudy, Danny Bowien, traveled to Genoa to compete for, and win, the World Pesto Championship. They had been working together at a new Italian restaurant, Farina, in San Francisco, where he also met his wife and partner, Mercedes Flavin. Other stops along the way to Maine for Laboa and his growing family included Prides Osteria (Beverly) and Bistro Don Giovanni (Napa). Paolo’s legacy now rests firmly in Portland, Maine with a surrounding landscape or terroir and seafare that will always remind him of his Ligurian home. Located in the heart of Portland, Maine’s Commercial Fishing District, Browne Trading was established by prominent seafood epicure Rod Browne Mitchell, in 1991. Continuing his family’s long tradition in the seafood trade, Browne Trading is nationally renowned for sourcing the ultimate in pristine quality, fresh seafood. The daughter of a foreign correspondent and a food writer, Sara Jenkins was born in Maine but grew up all over the Mediterranean, eating her way through its cultures and learning to appreciate everything from Lebanese tabbouleh to Catalan paella to North African tagines to Italian pasta dishes. She began her kitchen career in Boston with Todd English at Figs, then went on to work as a chef in Florence and the Tuscan wine country, before returning to the United States to bring back all she had learned and put it to work in the kitchen. In New York City, Sara was chef at I Coppi, earning two stars from the New York Times within her first three months. After similar turns at the helm of Il Buco, Patio Dining, and 50 Carmine, she took time out to have a child and wrote a cookbook, Olives and Oranges: Recipes and Flavor Secrets from Italy, Spain, Cyprus, and Beyond (Houghton Mifflin, 2008). Later that same year, Sara opened Porchetta in New York’s East Village, a storefront specializing in the succulent pork roast typically sold in street markets in Rome and Tuscany. Wildly successful, with a four-star review from New York Magazine, Porchetta created a nation-wide trend for the savory specialty. In 2010, Sara followed that success with Porsena, a sit-down restaurant also in the East Village, where she drew on her Tuscan and Roman childhood with a pasta-centric menu, featuring authentic Italian recipes made with fresh, seasonal ingredients. Meanwhile, she authored a second cookbook, written with her mother, Nancy Harmon Jenkins, The Four Seasons of Pasta (Penguin/Avery, 2015), which sets pasta in a thorough-going seasonal context. And most recently, in 2016, she has opened Nīna June in the seaside village of Rockport, Maine, where she brings her Mediterranean sensibility to play on the magnificent array of Maine-grown, harvested and foraged foods. Harding Lee Smith (chef and owner of The Front Room Restaurant & Bar, The Grill Room & Bar, The Corner Room Kitchen & Bar and The Boone’s Room ) is a Mainer by birth. Once he graduated from Portland’s Deering High School, Harding left Maine to experience the rest of the world. After earning a Bachelor of Science degree from Boston University, he moved to the San Francisco Bay area and attended the Culinary Institute of America’s West Coast campus in Napa Valley. After an apprenticeship in Venice, Italy, Chef Smith relocated to Maui, Hawaii where he was the chef of several well-known restaurants. After six years on the island, family and the Red Sox were calling and he returned to Maine in the fall of 2003. After spending the winter of 2005 at the venerable Back Bay Grill in Portland, Harding embarked on his dream, the opening of a casual neighborhood restaurant and bar. Christine is an experienced journalist and classically trained home cook working to spread reliable information about the state of food consumption in her home, community, the region in which she lives and across the United States and abroad. Her work has appeared on-line on recipe sites and news outlets and in print in national food magazines, regional publications and local newspapers in equal measure. Her award winning cookbook Green Plate Special was published in 2017. She also works with seafood expert Barton Seaver to create print, digital and multimedia content that promotes increased seafood consumption across all demographics nationally and internationally. Chef Heidi Parent is enjoying her 3rd year teaching at Capital Area Technical Center in Augusta. As a Lewiston Regional Technical Center high school graduate, she went on to earn her associates degree in culinary arts at Southern Maine Community College. Chef Heidi Parent worked in various foodservice establishments in Maine and New Hampshire for the next 13 years. Her claim to fame was in 2016 when she was the first Maine chef to make it on Chef Gordon Ramsay's reality cooking competition show "Hell's Kitchen". She finished second runner-up but not without impressing Chef Ramsay before she left. Chef Ramsay was quoted as saying "Heidi is a very talented chef with a bright future." Chef Parent is using her real world experience and ProStart curriculum to prepare her students to have successful careers in the foodservice industry. The TEAM Members- Alysia Cyr, a second year senior from Maranacook; Alisa Bonenfant, a first year senior from Hall-Dale; Trae Muzima, a first year senior from Hall-Dale; Jacob Meunier, a first year junior from Winthrop; Mireya Dos Santos, a returning team member from last year and second year senior from Erskine. This team has been developing a menu that highlights native Maine ingredients such as oysters, venison, potatoes, blueberry, and lobster. 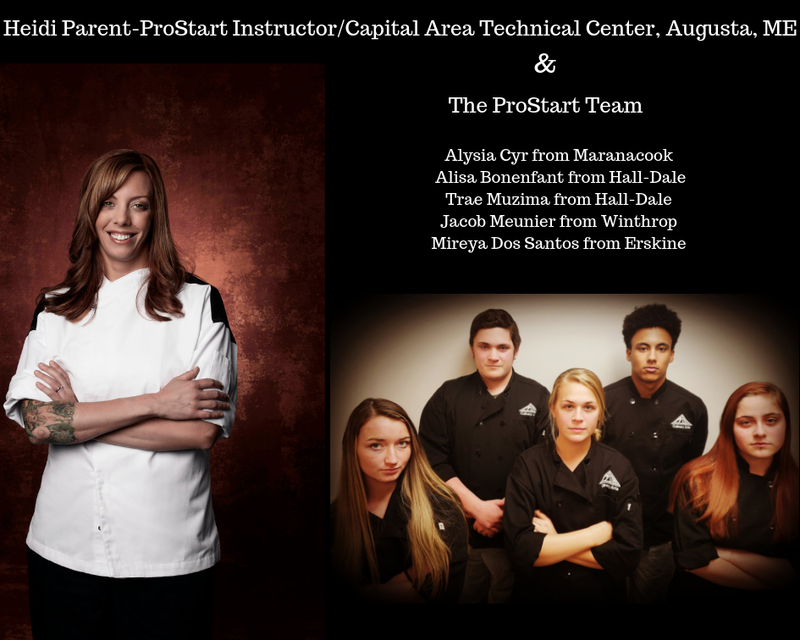 This team has been chosen to go to Washington D.C. in May to represent the state of Maine in the 2019 National ProStart Invitational Culinary cooking competition. For more than 25 years Chef David has been using his creativity and culinary skills to please the palates of thousands of diners. As Chef/Owner of David’s Monument Square and David’s Opus Ten in Portland, and David’s 388 in South Portland he has become an iconic fixture in Maine’s vibrant restaurant scene. He was named Chef of the Year by the Maine Restaurant Association in 2012, and has garnered 4.5 star reviews from the Maine Sunday Telegram. In 2016 he was presented with the Golden Toque by the Honorable Order of the Golden Toque. Chef David also believes in giving back to the community and volunteers his skills at charitable events and special functions as much as he can. He is a member of Hannaford Chef’s Table, a partnership with Hannaford Supermarkets that inspires home chefs and fights child hunger. Getting into the restaurant business at an early age Chris gained hotel, restaurant and off premise catering experience in the New York area. Chris joined the Sodexo team in 1991 serving as executive chef for clients such as BMW of North America, BASF, Atlantic Mutual and Area Chef for Merrill Lynch in New York City, Denver and Florida. In 2003 Chris joined the National Culinary and Marketing team as a marketing and culinary specialist supporting business in the Greater Boston Area. Chris has been in his role as Culinary Director since 2005 supporting the Northeast, Puerto Rico as well as International large accounts. In addition to these responsibilities Chris also supports Sodexho’s global contract with the Virgin Atlantic Airlines First Class Clubhouses with first class lounges in the US,UK and South Africa. Always having a passion for food Chris has taken many continuing education classes with the Culinary Institute on America in California and New York as well as culinary travels to China, The Middle East, Europe, and Central America. A member of the Greater Boston Area Chef Collaborative and Slow Food USA Chris continues to work with other chefs and the greater food community to celebrate local foods and foster a more sustainable food supply. The Collaborative inspires action by translating information about our food into tools for making knowledgeable purchasing decisions. Through these actions, our members embrace seasonality, preserve diversity and traditional practices, and support local economies. Chef Alexandra Chilton has been with Sea Dog Brewing Company South Portland for five years. She is a graduate of the University of Massachusetts Amherst as well as the Culinary Arts Program at Southern Maine Community College. Her previous experience spans from working as a sushi chef to high-end catering and many interesting experiences in between. Having grown up eating at Sea Dog she takes great pride in the eclectic pub-style menu that Sea Dog offers. 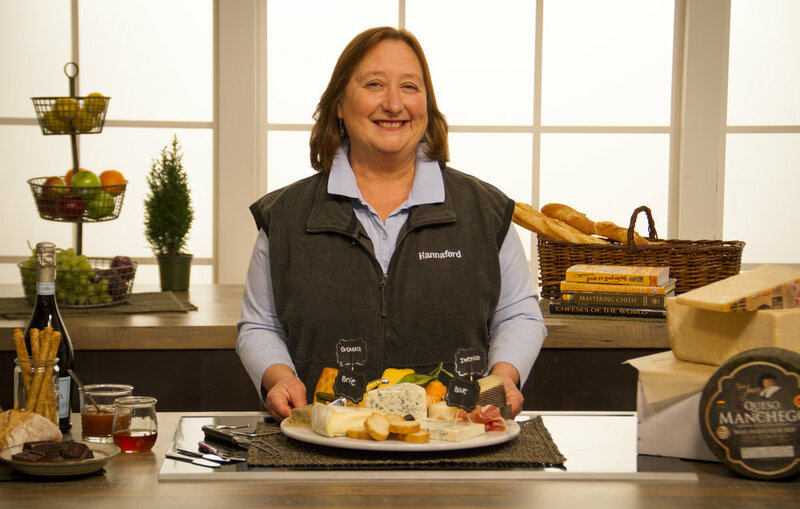 I am Hannaford’s Certified Cheese Professional – the best job in the company in my opinion! Having always love cheese, I was thrilled to immerse myself in the world of cheese and learn so much more about cheesemaking, cheese affinage, cheese varieties, handling, merchandising and history. The certification process and test is conducted annually by the American Cheese Society, and I was fortunate to receive additional training through a conjunction with Jasper Hill Farm in Vermont. Sarah is the Co-Founder of Maine Food for Thought and has 20 years of project management, public policy, economic development, communications, event management, and political experience in the philanthropic, education, business and government sectors. Sarah most recently served for 3+ years as the consultant/project manager for the economic development initiative, FocusMaine, through her consulting firm, Anchor Consulting Maine. FocusMaine’s mission is to strengthen and revitalize opportunity and prosperity in Maine by accelerating the growth of jobs in select signature industries (agriculture, aquaculture and biopharmaceuticals) that have high potential to create Maine jobs on a sustainable basis. Prior to her role at FocusMaine, Sarah was the Community Programs Director for the Bohemian Foundation in Fort Collins, Colorado where she directed the strategy for the organization’s annual community investment to initiatives related to youth, education and family economic security. In 1993, Chef/Owner Kerry Altiero decided to open up a restaurant that is fueled by his passion for great food, multi-culture cuisines, his Italian heritage and Rockland, Maine. He and his family renovated the historic Owl Benevolent and Fraternal Club (an interesting story for another time) located at 15 Oak Street in the heart of downtown Rockland. The result is an edgy and intimate multi-cultural cuisine restaurant that has become habitual for residents and visitors alike. Chef Altiero oversees a large, seasonal and culturally diverse menu featuring fresh local ingredients, house-made pastas, and signature foccacia bread that is made daily in Café Miranda’s wood fired oven. At Café Miranda you won’t have to settle for the mundane – dinners range from simple, fresh fare to adventurous dishes that delivers the punch and unexpected potential of each ingredient. 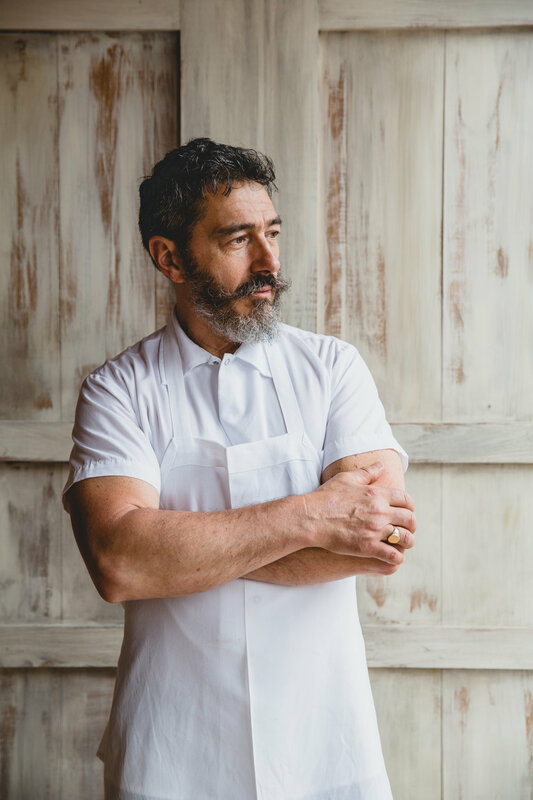 Chef Altiero was named the 2015 Down east Magazine Maine Chef of the Year, is a recent winner of the Maine Lobster Council Lobster Chef of the Year and Harvest on the Harbor Top of the Crop – Best Farm To Table Restaurant. Chef Kerry is the author of the cookbook Adventures in Comfort Food. Additionally, Chef Kerry is the co-host of NOSH a VSTV food and cooking show. Nancy Harmon Jenkins is a nationally known writer who divides her time between a home on the coast of Maine and an olive farm in the hills of eastern Tuscany. She is the author of eight books about food, mostly about Italy and the Mediterranean, and she contributes to many publications. A former staff writer for the New York Times and former publiations director of the American Institute of Wine & Food, she is semi-retired and working on a book about food in Maine. I graduated from the University of Maine in 2012 with a BA in Food Science and Human Nutrition. After graduating I opened and ran a food truck called Wrap N' Roll in my hometown of Belgrade, Maine for 2 seasons. I made locally sourced breakfast and lunch items as well as homemade baked goods that I sold at the farmers market. In 2013 I was offered a job at the Black Tie company and I have been their Executive chef for 4 years now. In 2018 I was awarded the Lobster Chef of the Year award at Harvest on The Harbor by the judges panel. I love food, my family and friends and all things combined. Michael Sanders has been living and writing in Maine for almost thirty years. His books about food include, From Here, You Can’t See Paris and Families of the Vine, focused on the farmers, winemakers, and chefs of southwest France, and Fresh From Maine: Recipes and Stories From the State’s Best Chefs. He was the founding editor of both ZEST Maine Magazine and Edible Maine Magazine and has also written for The New York Times, Saveur, Gourmet, and Downeast, among others. Armed with more than 25 years of experience in the culinary arts including the opening challenges of three 5 Stars – 5 Diamond resorts, Damian Zedower took the helm at Sodexo as Senior Executive Chef in February 2015. Zedower, a New Jersey native, joined Sodexo after spending about 23 years working and leading the kitchens at some of the country’s top luxury 5 Stars – 5 Diamond kitchens including the Harvard Club of Boston were Damian oversaw both properties for the Harvard Club, The Beacon Grill in Woburn MA and The Mandarin Oriental Boston. Before joining Sodexo, Chef Zedower also led the kitchens at the Four Seasons Resort in San Diego CA, Jackson Hole WY, Palm Beach, Fla, While in Jackson Hole Chef Zedower also ran the Amangani Resort in Jackson Hole WY where in 2005 he was voted as "Jackson Holes Best Chef" by the Jackson Hole News - Guide. Growing up in Northern New Jersey, Chef Zedower looked up to his Grandfather, who was a restaurant owner, foodie and Zedower started his love of great cuisine. "My Mother would take me to the restaurant, and I recall being excited and amazed with the sights, sounds and smells," Zedower remembers. "I knew at the age of 5 that I wanted to follow in that direction." Zedower describes his style of cooking as "using local - seasonal – sustainable ingredients, American Reginal cousin-with-a-twist, and not complicated but refined." His techniques and styles reflect the melting pot of his reginal and world traveling experiences, mixing different classical French – Italian & Asian techniques. Classically trained, Zedower graduated from the Culinary Institute of America at Hyde Park, N.Y. in 1995 with an associate's degree in Culinary Arts. He lives in Wayland Ma, with his wife, Tarrah, and their two children, Callie and Caden. Wendy was born and raised in Connecticut surrounded by Czech and Polish grandparents who provided a rich food background in ethnic specialties. Her family grew most of their own produce and also maintained a small orchard. Karl brings over 25 years of food & beverage experience to the team at UNION restaurant. Karl’s management assignments include both resort and urban markets and he has held senior Food & Beverage roles at properties ranging from a 1,200 room resort to 110 room vibrant downtown boutique hotel. Karl’s experience spreads across properties in the portfolios of Marriott International, Destination Hotels & Resorts and Two Roads Hospitality in various markets including Houston, Phoenix, Boston and Stowe (VT). He holds a Degree in Hotel Management from the University College Dublin (Ireland) and has taught in an adjunct professor capacity at Lasell College in Boston. He has also completed Level 1 “Master Court of Sommeliers” wine certification and carries a great passion for this area. Jordan Rubin is the owner and operator of Mr. Tuna, a pop-up sushi bar & mobile food cart. A New England native, Jordan has been working in kitchens and sushi bars from Providence to Portland over the last 17 years. He has honed his craft at Uni Sashimi Bar in Boston, Central Provisions in Portland, and more recently helped opened Solo Italiano, where he ran the crudo bar for their first year in business. In the summer of 2017, Jordan opened Mr. Tuna, the first ever sushi food cart on the east coast. He personally picks out his fish every day and is constantly looking for new, fresh ingredients. With over 20 years of experience in the restaurant business, 5 spent working closely with new and emerging businesses locally in downtown Lewiston and the remaining working in the competitive bar scene of Southern California, Thomas Ardia has made an indelible mark on the restaurant and bar communities that he has served. 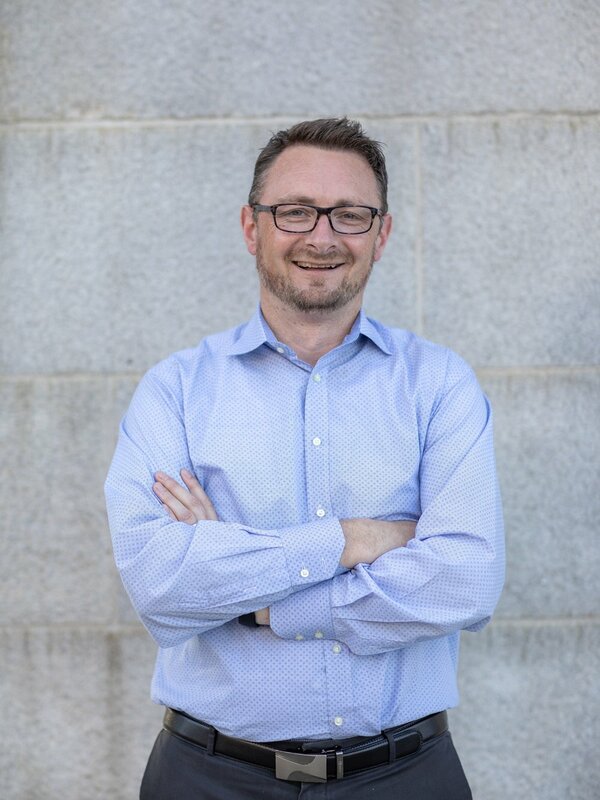 Matt has recently returned to Portland from San Francisco, where for several years he was the Chief Marketing Officer for the city’s convention & visitors bureau. While in that role, Matt led the development of a wide variety of destination marketing campaigns for the highly-awarded culinary city, including working closely with the Golden Gate Restaurant Association to promote the annual San Francisco Restaurant Week. He currently leads brand and business development for Garrand Moehlenkamp, an advertising agency in Portland which focuses on food and beverage brands. Sam Richman, a near-18-time award winner, learned to cut his thin culinary chops cooking at various fancy-pants restaurants including 71 Clinton Fresh Food, WD-50, The Fat Duck, Jean-Georges and Gramercy Tavern. This formal training was augmented by watching all of the original Iron Chef, eating in Chinatown, Bodegas and Polish Delis and reading many cookbooks. Restless and impetuous, Sam began to hone his craft on his own, helming the kitchens of the idyllic Uptown Store on Lake George, a Supper Club run out of his apartment, and Gran Electrica in DUMBO, Brooklyn before moving back to New England to head up Salt Water Farm in Rockport, Maine. Currently, Sam cooks at his very own Sammy’s Deluxe in Rockland, Maine where he serves up simple food made with the many many riches of Midcoast Maine’s unique bounty.